Need a quick dairy-free dessert tonight? 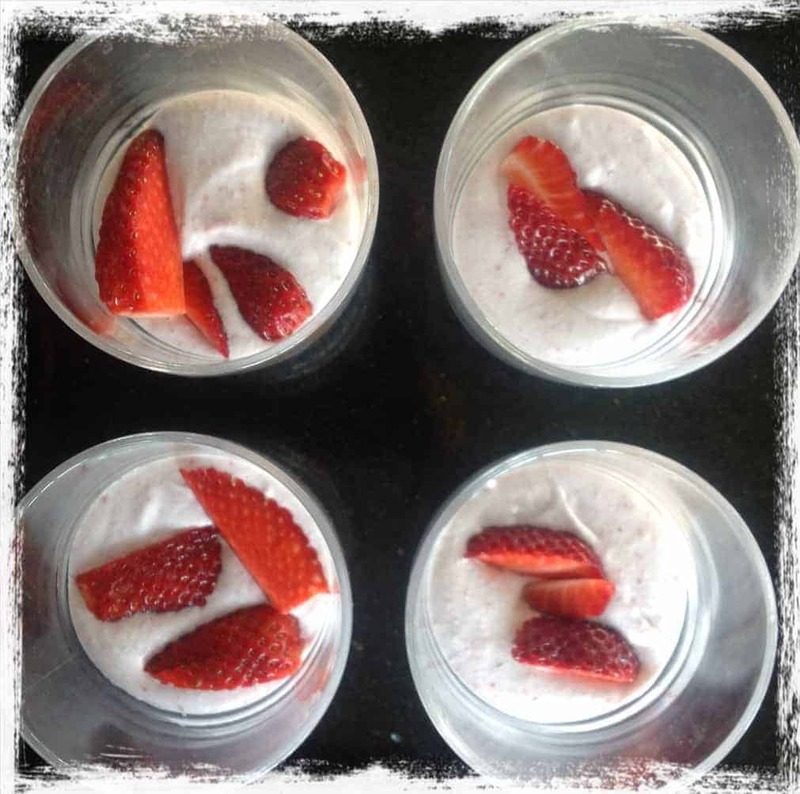 Paleo strawberry coconut mousse might just be the ticket. Read why you might need to keep a can of coconut cream in the fridge. 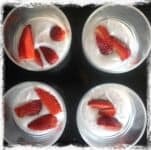 This low carb paleo strawberry coconut mousse is a lighter mousse compared to the heavier cream based ones. By using coconut cream, it is full of MCT (medium chain triglycerides) and lauric acid. If your coconut cream isn’t high enough in fat (generally 25% or more is considered coconut cream) then keep your tin of coconut cream in the fridge as the heavy coconut cream hardens and settles at the top, making it easy to skim off and whip. It is also an easy way to scoop coconut cream to serve with cakes or desserts as their accompaniment rather than cream or yoghurt. Using an electric whisk, beat 1 can of coconut cream (full fat not light) until smooth and fluffy. It won’t form stiff peaks like dairy cream will, but this is what makes it so light in texture. Serve with a few strawberry pieces on top. Whisk the coconut cream until fluffy and light. In a small bowl add the strawberries and sweetener. Using the blade attachment on the stick blender, puree until smooth. Gently fold the strawberry mixture the fluffy coconut cream. Serve in glasses and garnish with a few extra pieces of strawberry. Refrigerate or freeze as you like.